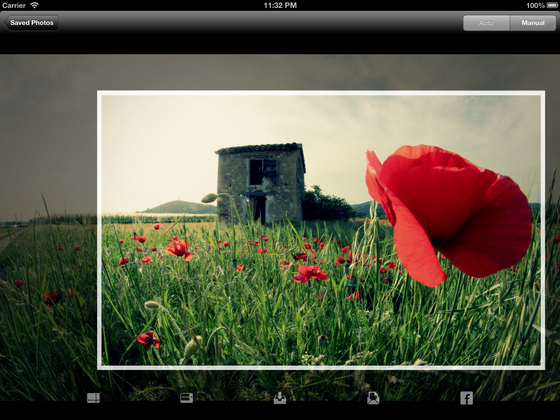 Crop your photos directly on your iOS device. No need to transfer them onto a computer. Select aspect ratio and crop size, and let Croppola do the rest. It's as simple as that! Send your beautifully cropped pictures via email, or upload them directly onto Facebook. Point your iPhone to the subject, and CroppolaNow automatically suggest a nice crop. CroppolaNow crops your photos right when you shoot – you don't need to crop them afterwards. By selecting the aspect ratio before taking the picture, you can take pictures directly in the desired format. on the iOS App Store. Did you take pictures with your iPhone? Or transfer your photos onto your iPad? Now you can intelligently crop them right there. 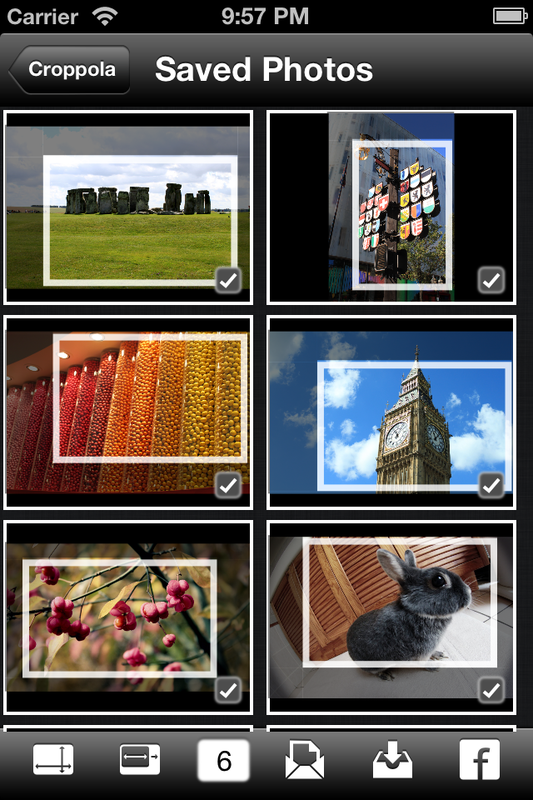 Within the app, select the photos you want to crop. Then choose aspect ratio and crop size, and let Croppola do the rest for you. You can store the cropped pictures on your device, or sent them via e-mail.